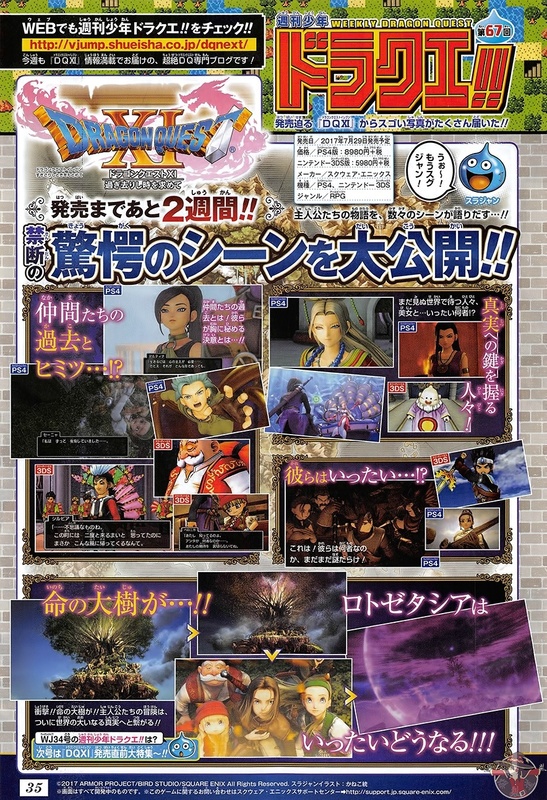 This week’s issue of Weekly Jump teases new story scenes for the eleventh main series entry of highly anticipated JRPG Dragon Quest series. The new scan and and info are right below here. What are your allies’ pasts? What is the resolve that they hold dear to their hearts? Just who are the various people and beautiful women in this still unseen world? This is…! Who are they? It is all still wrapped in mystery! The Great Tree of Life! What will become of Lotozetasia? The protagonist and company’s adventure will finally lead to the great truth of the world! Square Enix will release Dragon Quest XI: In Search of Departed Time on July 29th in Japan for PS4 and 3DS. Thanks for the translation, Gematsu.com!